A casino’s depth is not solely based on the amount of content that is shoved in the face of the user. Depth is earned through persistence in the field of customer needs satisfaction, adhering to the change of the times, and holding a preconceived notion of security and regulations. EU casino is one that does it by the books. The offer an excellent VIP program that includes all player types, novice to professional. Their customer support team is steadily available at all hours of the day, opening the conversation lines through a live chat feature, e-mail communications, and phone line operations. The casino adapts to the changing marketplace by working with their developers to reach new, relevant streams of content. They keep their casino highly regulated and the forces at work to secure the casino are highly encrypted and backed by some of the top names in the industry. They do everything with a purpose and the result is a product that all can enjoy in. Below is a deeper look into how this mainstay completes their operations and fulfills their obligation to user satisfaction. The casino went live via their desktop creation in early 2009. Compiling almost ten years of research and data, the casino has thrived by adapting to changes. Their game developers include names like NetEnt, WMS, and NextGen Gaming. Each of these sources contributes a healthy stream of relevant content, touching on all different aspects of gaming. Their hosted platforms include a desktop casino, a live casino, a mobile platform, and a standalone poker room. The casino is regulated by the Malta Gaming Authority and the UK Gambling Commission. Each source commits an excellence in the field of securing user data and protecting it across multiple levels of security. The site is highly encrypted, leaving user data and account information in a safe-standing when participating at this mainstay. The casino is an extension of Skill On Net Limited. This source provides gaming content for the casino and is also carried as a leader across other online casinos. The desktop version of the casino carriers a modest number of games, trending right around the 250-mark. This gives the casino enough depth to cater to the many needs a consumer may have. Whether they fancy a sit-and-go style of slot machines or want to immerse themselves in a poker tournament, the experience can be found within EU. EU plays host to many different content types in their slot machine development. 3-reel and 5-reel classics create a decent chunk of the desktop content. Particular attention is added to the funding of 3D and virtual content. These progressive formats draw the attention of the user via game add-ons and functions that influence the pace of play. The mobile casino plays host to 230 different games. Only a few selections are taken from the user in this platform crossover. Additionally, mobile exclusive content is created to add an element of excitement to this platform. Streaming content has never been easier, and developers ensure to carry high graphical intrigue when placing titles within this library. This application can be located within most application stores and download is carried free of charge for the user. Check with your provider to ensure proper bandwidth connections and device support. The live casino plays host to 3, separate titles. Each title mirrors the feel of an in-house table game with real-time dealers talking you through the playing period. This face-to-face interaction limits the notion of casual play and gets the user involved every step of the way. First Deposit Only. Min. deposit: £10. Games : Spina Colada, Spin Value: £1, Max Free Spins: 50. WR 60x free spins winning amount (only slots count) within 30 days. Max bet is 10 % (min £0.10) of the free spin winning amount or £5 (lowest amount applies). 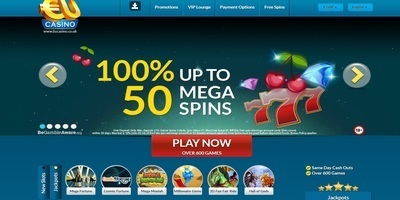 Free Spins must be used before deposited funds. Bonus Policy applies.